It’s been so long since I’ve shared an easy hairstyles video! Today I’m sharing 5 EASY summer hairstyles for girls…keyword…EASY!!! As I’ve said before in my other easy hairstyles videos, I am not the best at doing hair and now with 4 kids (3 of them girls) I have even more limited time to spend on doing their hair or even my own lol! I also showcase an amazing new haircare line for kids that’s even safe for Moms color treated hair too…Fairytales haircare. They are all natural, organic and smell amazing. They have perfect products for summer for the whole family. Special surpise…I have a giveaway for the products shown in this video. Rules to enter below! Good Luck! Giveaway is for the products shown in my video. 18 yrs and older to enter and in US only. Subscribe to my you tube channel Mommytipsbycole. Comment on my video which hairstyle is your favorite and which Fairytales product you would like to try most. 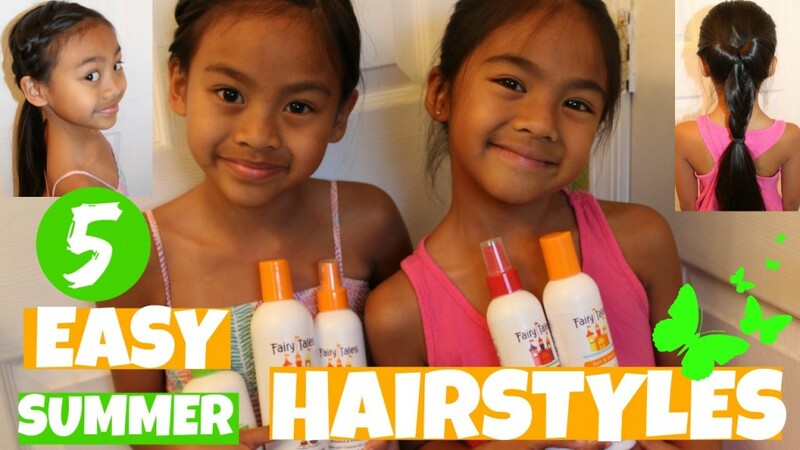 5 Responses to "5 EASY HAIRSTYLES FOR SUMMER + FAIRYTALES GIVEAWAY | MommyTipsByCole"
Love your videos about products for the family. Thank you for sharing. I really liked the side braid looks this would work for my girls. I also like the shampoo and conditioner. Like that they are gluten,dairy and nut free! My girls have allergies and this is perfect! Thank you again for sharing! Blessings to your family. We are in the process of growing out my daughters bangs as well, I would love to learn the braid, I think we would use it everyday until it’s long enough and even then it’s still really cute keeps her hair out of her face. hehe Thanks for the tips!